Big wheels means big comfort. The Baja trike bike rolls over things that would stop your average two-wheeler. 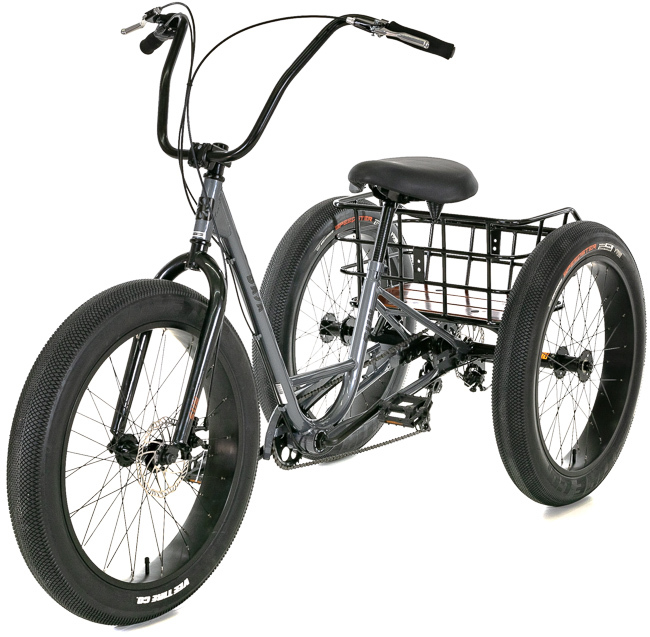 The Baja is no recumbent bike, it sits up taller and the three wheels provide significant stability. It's Delta style with two wheels in the back. Ask us about our two-wheel drive conversion. 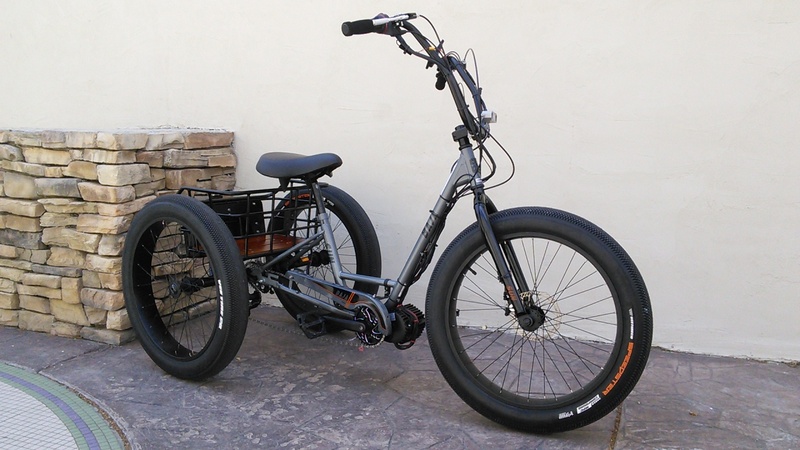 The Sun Baja isn't your grandmothers trike! With 24X3.5" fat tires, this thing will cruise on dirt, and sand with the greatest of ease. The basket in the rear has a wood plank bottom, giving it a fantastic vintage look!